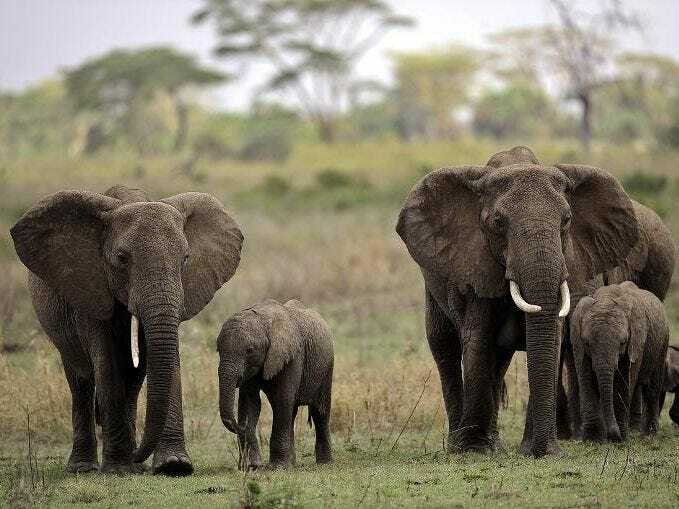 Beijing (AFP) – Chinese diplomatic and military staff went on buying sprees for illegal ivory while on official visits to Tanzania, sending prices soaring, an environmental activist group said Thursday. When Chinese President Xi Jinping visited Tanzania in 2013, members of his government and business delegation bought so much ivory that local prices doubled to $US700 per kilogram, the UK-based Environmental Investigation Agency (EIA) said in a report, citing ivory traders in the Dar es Salaam. The EIA quoted an ivory vendor named Suleiman as saying that when the delegation came to Tanzania business went up. They alleged that the buyers took advantage of a lack of security checks for diplomatic visitors to smuggle their purchases back to China on Xi’s plane. A Chinese national named Yu Bo was arrested during the naval visit as he attempted to enter Dar es Salaam port in a lorry containing 81 elephant tusks — hidden under wooden carvings — which he planned to deliver to two mid-ranking Chinese naval officers, the EIA said. Tanzania is a key ally of China in East Africa, and its President Jakaya Kikwete reportedly signed deals worth $US1.7 billion on a visit to Beijing last month. The environmental group WWF estimated that around 25,000 African elephants were hunted for ivory in 2011, predicting the toll to rise. There could be as few as 470,000 left, it says.